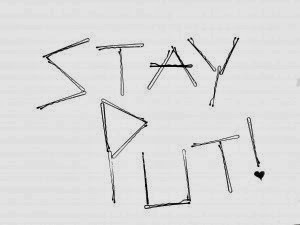 Idiom: Stay Put; used as a verb. 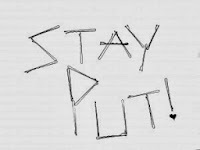 Meaning: Stay Put is usually used to express the idea of staying in one place and to not move. In the example above, it is very difficult for small children to stay in one place for an extended period of time. This idiom can be used as a general verb to relate the idea of staying in one place. The words, stay and put cannot be separated. Meaning: In this case, the idiom, Stay Put, is used to express the advice that you should not move around if you ever become lost. 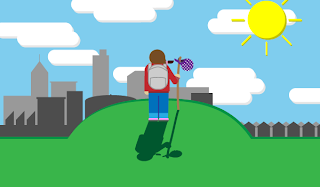 It is generally easier for search parties to find a lost hiker if they are still in the general area where they had originally intended to go. In this example, the idiom is being used as a verb. This idiom is from the book "The Idiom Advantage – Fluency in Speaking and Listening," which is used as primary material in LSI’s Advanced Conversation classes.